Kuwait joined the United Arab Emirates in promising to pump less oil after Saudi Arabia called on fellow OPEC producers to cut more supply to help curb the global glut, Bloomberg reports. Kuwait Petroleum Corp. has agreed with customers in the U.S. to reduce contractual sales volumes of oil for 2017, state-run KPC said. The announcement came a day after Suhail Al Mazrouei, U.A.E. Minister of Energy said Abu Dhabi National Oil Co. would trim shipments of Murban, Das and Upper Zakum crudes by 10 percent starting in September. The actions by both Gulf Arab nations followed criticism on Monday from Saudi Arabian Minister of Energy and Industry Khalid Al-Falih of members of the Organization of Petroleum Exporting Countries who haven’t fulfilled their promised supply reductions. Kuwait has compiled at an average rate of 98 percent with its pledged reduction of 131,000 barrels a day, according to the International Energy Agency. The U.A.E. has implemented only 54 percent of its promised 139,000 barrel-a-day cut on average, the IEA said. “The U.A.E. 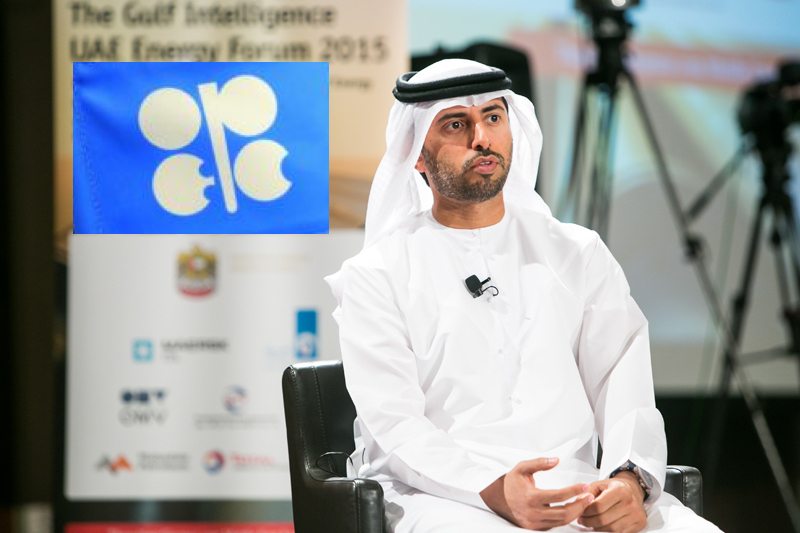 is committed to its share in the OPEC production cut,” Al Mazrouei said Tuesday in a tweet. Oil slid into a bear market last month on concerns that rising global supply was blunting the impact of the historic agreement for a cut in output this year between OPEC and allied producers such as Russia. The group’s compliance with the deal has been weakening, while output in OPEC members Nigeria and Libya — both of which are exempt from making cuts because of their internal strife — has bounced back. Oil producers meeting in St. Petersburg, Russia, on Monday agreed to let Libya and Nigeria keep increasing output but stressed the need for other suppliers to follow through on their pledged reductions. Libya’s two rival leaders, United Nations-backed Prime Minister Fayez al-Serraj and eastern military strongman Khalifa Haftar, agreed in talks on Tuesday to a text — which they didn’t sign — calling for a ceasefire and combining the North African crude producer’s divided state oil company. Iraq, OPEC’s second-largest producer, has lagged behind most of its fellow members, complying at an average rate of 46 percent, according to the IEA. Iraq has yet to indicate whether it plans to deepen its cuts in coming months. Saudi Arabia, OPEC’s biggest producer, went beyond its obligation, exceeding its 486,000 barrels-a-day cut by more than a fifth, the IEA data show. The U.A.E. is OPEC’s fourth-largest producer, while Kuwait ranks fifth, data compiled by Bloomberg show. TagsAbu Dhabi Libya Nigeria OPEC Saudis U.A.E.